The International Accounting Standards Board (IASB) announced International Financial Reporting Standard (IFRS) 16 in January 2016, becoming effective 1 January 2019, replacing IAS 17. It provides much greater transparency on companies’ lease assets and liabilities, shining a light on arrangements that were previously accounted for as off balance sheet financing, but with a risk that it could harm stakeholder perceptions of company performance. IFRS 16 defines what a lease is and, subject to certain recognition exemptions, companies now have to bring operating leases onto the balance sheet (only finance leases were included previously) and can no longer leave them as off balance sheet items. The distinction between operating and finance leases under IAS 17 is eliminated. This provides transparency of all major leases a company holds but has a potentially significant impact to its financials and operations. Note that IFRS 16 does not fully converge with the equivalent standard under US GAAP (ASC 842), so companies doing business in both Hong Kong and the US (“dual reporters”) must continue to apply different lease accounting models. Due to the changes, some commonly used financial ratios will be impacted. In Hong Kong, we have already seen first-hand the impact that such changes have had on companies that are either required to file periodic financial returns to the Securities and Futures Commission (“SFC”) or submit periodic accounts to stakeholders during the first quarter of 2019, with companies reporting a major shift in their key ratios. There is also a significant impact to the lessees’ profit & loss (P&L), and Earnings Per Share (EPS). These will fall during the early years of a lease. Meanwhile, Earnings Before Interest, Taxes, Depreciation and Amortization (EBITDA) will increase as rental expense, which was previously classified “above the line” as operating costs under the old standard, are now excluded from the EBITDA measure as depreciation and interest expenses. Companies with internal KPIs or external treasury metrics such as loan covenants, and staff bonus plans built around these P&L measures, will be impacted. Finally, IFRS 16 will have a significant impact on the company’s cash flow classifications and the demands of its disclosure requirements in financial statements. 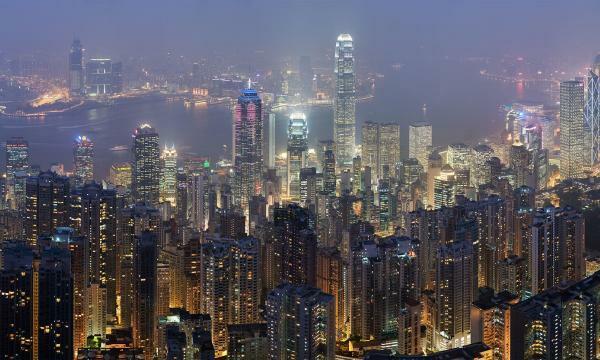 What is the impact on key industry sectors in Hong Kong? This will have a serious impact in Hong Kong on businesses that use lease arrangements as a means to access assets, particularly those heavily involved in the retail, shipping, property and aviation sectors. There is also a potential risk of these changes affecting the banking sector. • Retailers, wholesalers and service industries (healthcare, professional services etc.) that rely heavily on the use of leased real estate (such as offices or shops) as part of their business models, will be severely impacted. They need to re-assess whether to continue to lease properties or buy them; and renegotiate terms of leases with their lessors, as they can no longer hold such investments off the balance sheet, eliminating a key benefit of the leasing model. • Companies leasing ships may need to recognise their interest in these vessels as a Right of Use asset with a lease liability to be recorded for future charter payments. • Aviation companies will see a major shift in the size of their asset book, given the sector is heavily dependent on leasing structures. Forward payments on these leases must also be included, vastly increasing the indebtedness shown on the balance sheet. • The impact on the financial sector is less easily measured or foreseeable, particularly from a customer experience perspective. It was previously possible for banks to structure financing deals for their customers off balance sheet using lease and/or certain sale-and-leaseback structures. This is essentially eliminated under IFRS 16 and may result in companies seeking alternative solutions. Customers should seek clarification from financial institutions regarding the impact on covenants and credit ratings. Lessors must also remain alert as lessees will likely wish to renegotiate lease terms and structure future leases differently. With all leases being reflected on the balance sheet, there will be a consequential shift in both assets and liabilities during the 2019 reporting period. Companies must carefully explain the sudden change in their financial position and key financial measures to investors due to the introduction of IFRS 16 to avoid damaging investor confidence and to manage investors’ expectations. • apply the rules at the initial date of application of the new standard and not restate comparatives. Both methods require a significant amount of work and companies need a detailed understanding of the resources, costs and stakeholders’ needs in selecting the most appropriate transition method. Some may wish to disclose the transition approach in their 2018 financial statements. What are we seeing in 2019? Based on our interaction with market participants in Hong Kong, many companies are struggling with implementation or are just starting to understand how they will be affected. Now that 2019 is here, action is urgent. The standard is already effective and has real consequences on finance and operations – are you sure you are ready?